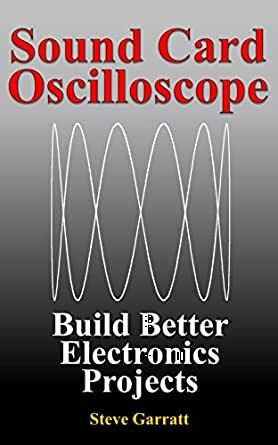 Follow this book, make it your next project and you will have an oscilloscope to fault find and explore your future circuits with. 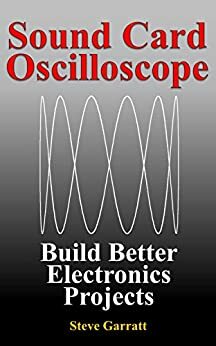 This book is about how I built a dual trace sound card oscilloscope, calibrator and signal generator project from start to finish. I've recorded my steps in detail so that you can build one too. I describe all the circuits and how to build them into small cases that sit nicely on your desk. I tell you where you can buy the components, where to download the computer oscilloscope software and how to use it. Waveforms, frequency analyzers, phase shift, Lissajous figures, working with plastic enclosures, simple mechanical design, practical experiments, case studies. After you build this sound card computer interface, You will need to find and download a Oscilloscope program that will work on your OS. Well written, perfect combination of theory and practice. great O-scope designs for electronic hobbyist or DIY audio enthusiast. Table of contents is a little skimpy so it's hard to navigate the book, but bookmark as you go, and search as needed -- well worth the minor inconvenience for a lot of great content. Best kindle purchase of 2015 for me! 5,0 de 5 estrelasRead. Build. Learn.